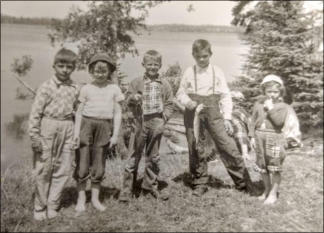 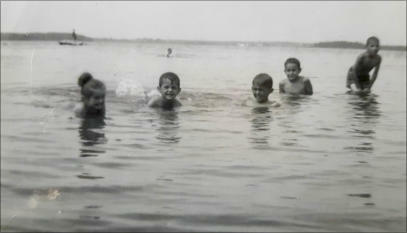 Circa 1954 - Some of the Pottsville Kids with their fresh catch. 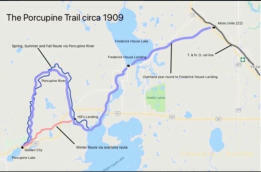 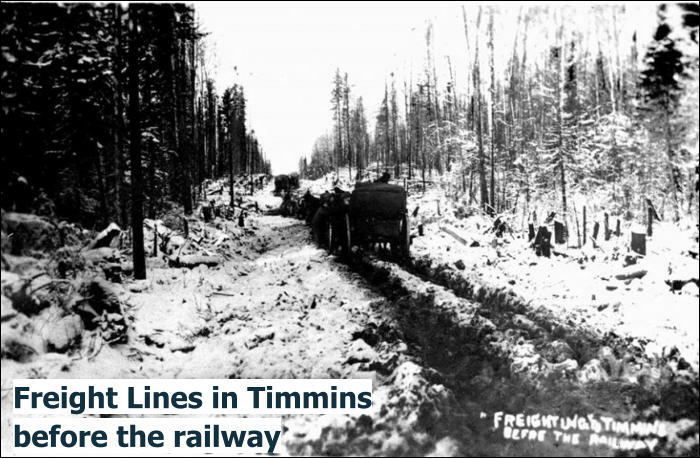 THE PORCUPINE TRAIL: Before full rail service was established to Timmins in July of 1911, reaching the Porcupine goldfields was a very difficult test of stamina, strength, and willpower. 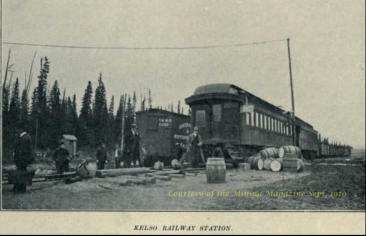 Kelso, at mile 222 on the T. & N.O. 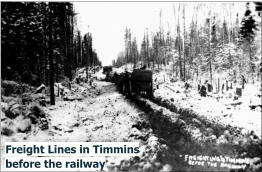 line from North Bay, was the closest starting point for the roughly 30-mile adventure westward on the Porcupine Trail. 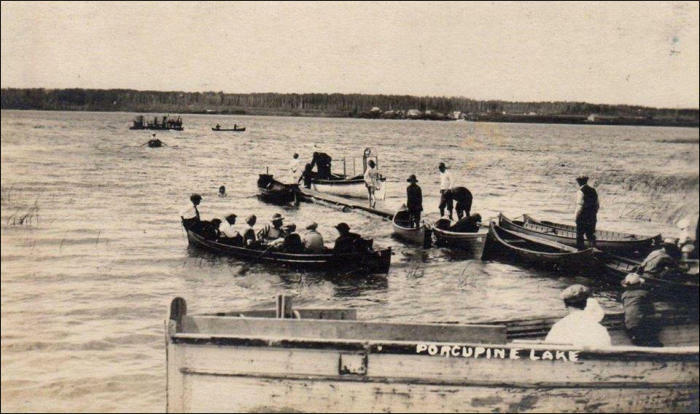 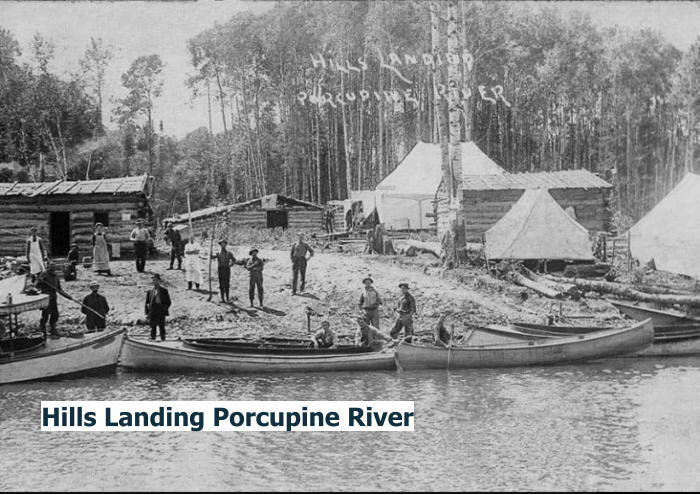 Depending on the time of year, travellers contended with thick bush, swampy bog-like terrain, river rapids, and of course mosquitoes during the summer. 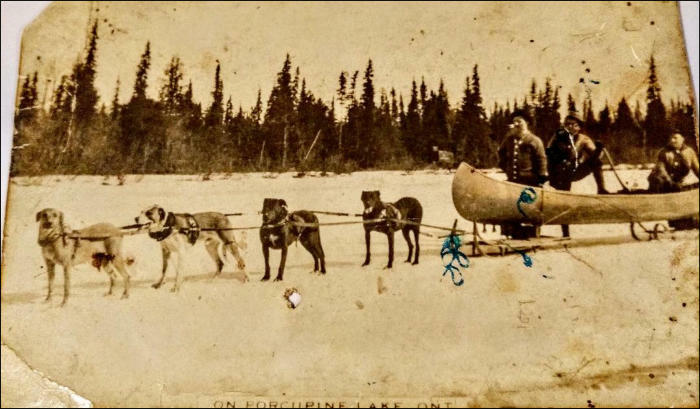 In the cold winter months, sledding or freighting through the snow covered bush and over frozen river and lake surfaces was the only option. 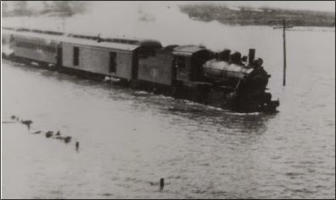 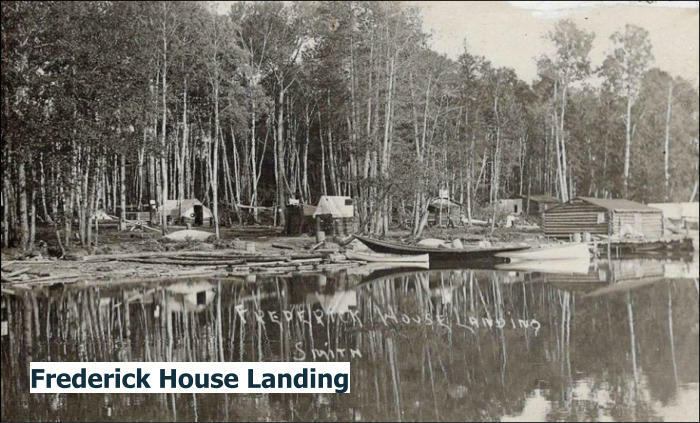 After leaving the train at Kelso, one would have to make their way westwards through narrow, rough logging roads and bush trails to Frederick House Landing where they would transfer all their supplies to boats and canoes when the river wasn't frozen. 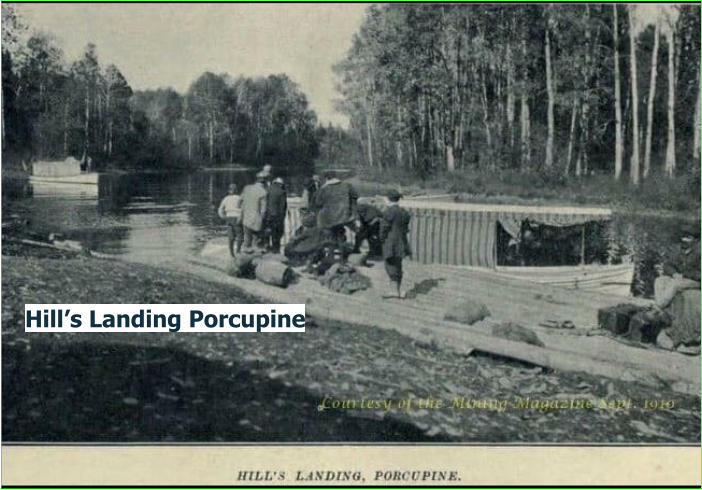 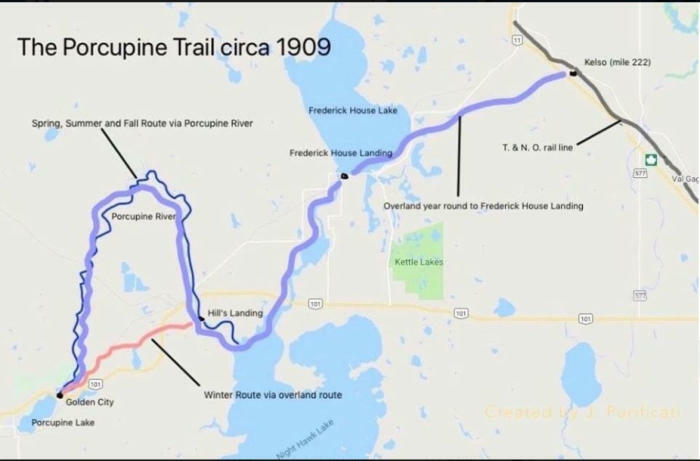 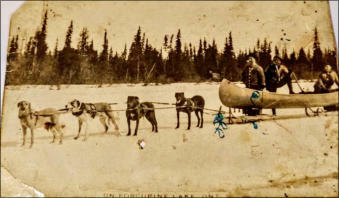 From the landing they would travel either on open water or frozen surfaces south on the Frederick House River to Nighthawk Lake and continue a short way westward to the mouth of the Porcupine River then northward up a short way to Hill's Landing (south of present-day Hoyle). At Hill's Landing one could get a cheap meal at Mr. Hill's boarding house or spend the night to recover and muster up enough energy for the rest of journey. 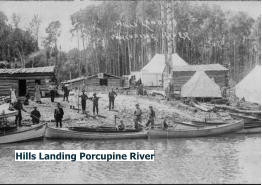 It's approximately 12 miles directly westwards from Hill's landing to Golden City (Porcupine). 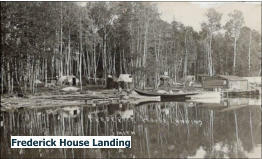 During the spring, summer and fall one could choose to trek directly through the bush on a rough, swampy trail for about four hours or choose to take the much longer (by 20 miles) but easier route via the Porcupine River by combining two portages and canoes, boats and motor ferry service into Golden City. J. Purificati Sources: Toronto Star Archives and "The Mining Magazine, Sept. 1910"